The phone of Aryeh Weingarten, Director of Karmey Chesed, is ringing off the hook. People from all over Israel are preparing for the upcoming Passover holiday and do not know how they will manage. "The most urgent phone calls are from people asking for help to get Passover matzah and food staples," Weingarten told Breaking Israel News. "But, we are also fielding calls from individuals desperate to fix or replace their broken refrigerator or worried that their electricity will be turned off before the holiday for lack of payment." Karmey Chesed is a small, Israel-based charity organization. Run from the home of Weingarten, the organization does all that it can to minimize overhead costs while maximizing its ability to help as many needy people as possible. "We make every effort to save every shekel that we can in order to best fulfill the needs of the people who contact us," shared Weingarten. "Everyone knows the saying, ÃƒÂ¢Ã¢â€šÂ¬Ã‹Å“A shekel saved is a shekel earned.' At Karmey Chesed, we say it a bit differently. ÃƒÂ¢Ã¢â€šÂ¬Ã‹Å“A shekel saved in overhead cost is another shekel we use to help those who need it most.'" Karmey Chesed's innovative programs include Green Charity, which refurbishes second hand furniture and appliances for the poor; Home Utilities Program for helping the impoverished pay their bills; Food Distribution; Aid for IDF soldiers; Relief for Gush Katif Evacuees; and an Emergency Housing Program for lone Israeli soldiers and the homeless. Every day, numerous people contact Karmey Chesed for help. According to the latest statistics on poverty in Israel, there are approximately 1.7 million Israelis living under the poverty line. This number includes an untold amount of working poor - people who are doing their best to make ends meet and simply cannot. 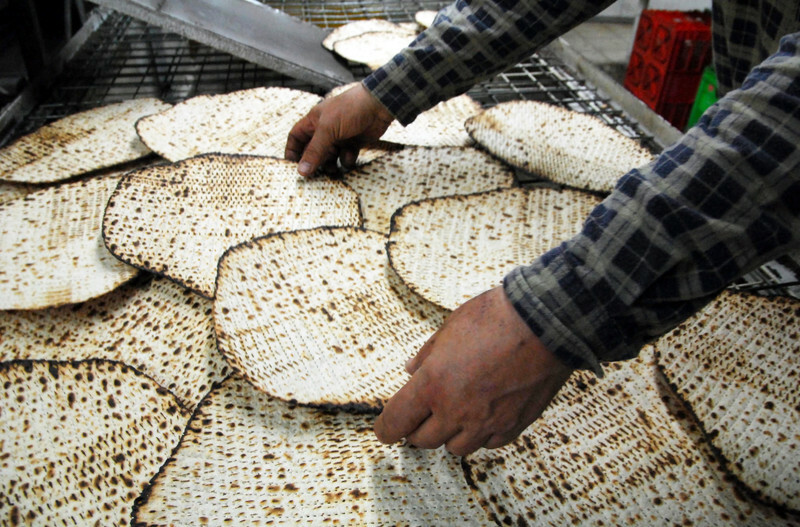 The additional expenses brought on by Passover's stringent requirements, which include eating specially prepared foods made without leavening products and having an entirely separate of pots, pans, dishes and utensils which are only used during the week of Passover, push those living near or below the poverty line over the edge. "All year round, we help as many individuals, families and lone soldiers as possible," expressed Weingarten to Breaking Israel News. "For Passover, people's needs and Karmey Chesed expenses increase exponentially as we also must maintain our regular charitable efforts as well." This intimate organization is praiseworthy for their extensive efforts to personally connect to every recipient of their assistance. "Because we maintain a personal touch, we know exactly what each person needs," continued Weingarten to Breaking Israel News. "Sometimes people get so used to living in dire conditions that they may not even see what they need or are embarrassed to ask for additional assistance. We personally worry about each individual who comes to our attention." Karmey Chesed has developed relationships directly with wholesalers who have come to appreciate the important work of the organization. This brings additional savings to their already stretched budget. "People know and trust us," explained Weingarten. "When they see how we help so many needy people with kindness and an open hand and heart, others want to do their part as well." In order to help needy people to help themselves, efforts are made to "hire" out-of-work people to make the deliveries of food and furniture. This freelance staff is paid generously for their services, providing them with a way to accept help in a dignified fashion and make an honest living. "Especially before Passover, we are working around the clock delivering necessities and helping people have the best holiday possible," said Weingarten. "It is clear that if people cannot afford their basic expenses all year round, they certainly cannot afford the added expenses that observing Passover brings."